The left side of the yellow color symbolizes light and prosperity, representing human and faith, values that move our community towards a better quality of life. The right hand red color represents the patron saint of Guaynabo, San Pedro Mártir de Verona, who preached Christ’s word until his death. The color red symbolizes the passion of our Lord Jesus Christ, who gave his life for all. 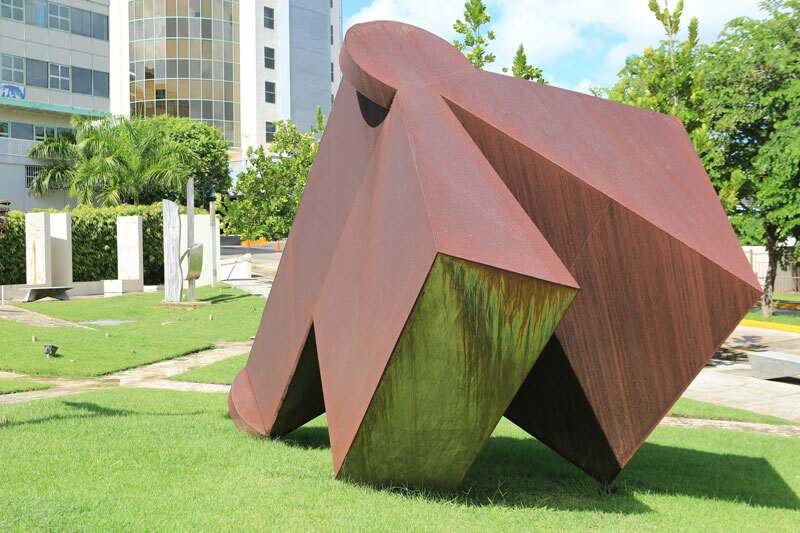 Also this color symbolizes love, friendship, human warmth and fraternity, representative qualities of the “Pueblo”, the heart and historical center of Guaynabo. The flag divided into two sides, the left in yellow (gold metal according to heraldry) and the right in red (gules according to heraldry). There is a green (in heraldry, sinople) circle in the center surrounded by a white (silver in heraldry) border. It has a black (sable in heraldry) and white (silver in heraldry) cross in the center with a Fleur de Lis at each of the four ends of the cross. In addition, there are two green palm tree branches at the bottom of each side. The green color of the circle symbolizes hope, a cardinal virtue of the human heart; hope for a better future for all our fellow neighbors. It also represents the vegetation that surrounds our city. This green color was chosen because it is one of the ancient heraldic colors in Guaynabo. The white ring around the green circle, symbolizes the Christian unity that characterizes our area. The white and black cross represents San Pedro Mártir de Verona, patron of our town. It is placed in the center of the circle to remind us that the area has been a governmental and spiritual center of our municipality since its founding. The white color is one of the oldest colors in the heraldic history of Guaynabo and it symbolizes purity, peace, dedication and unity; the black color represents strength, stability, and the formality of the community. 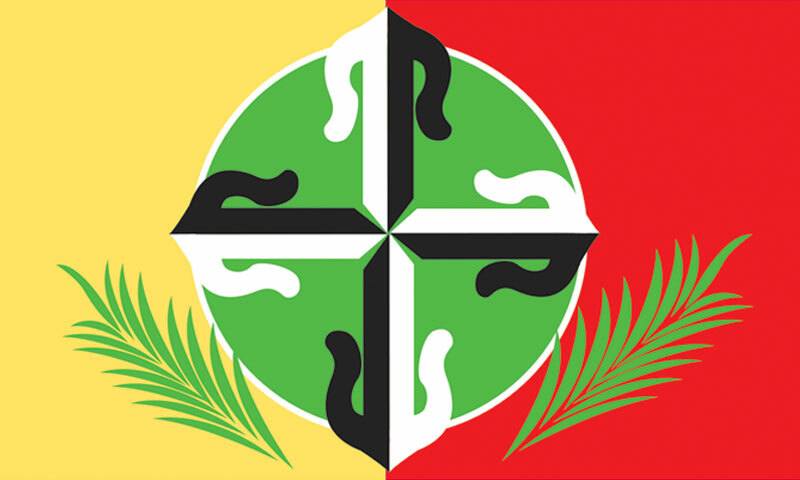 The green palm branches represent hope and evoke the traditions of our people such as the Holy week processions and festivities of the patron. They encourage our people to work together, despite their differences, for a better Guaynabo.